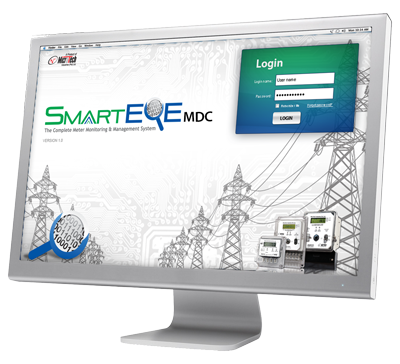 MTI Smart Eye MDC tool is especially designed keeping in view the latest and up-coming technological trends in the metering industry. The system has been developed according to the best industry standards and practices in vogue. This is important and useful tools that help utilities to have near real time monitoring of metering data and improvement in overall efficiency of the system. It can easily be scaled up by improving the base system with more capable and powerful hardware; and scaled out by integration and expansion of the base system with addition of multiple parallel systems for increasing its capacity and capability. It collects metering data from the DLMS/COSEM and NTDC specifications compliant energy meters and stores into a database. The international as well as local standards and protocols fully enable this tool to be integrated with any other application or system that operates on same standards and protocols. This functionality allows inter-operability and in turn enables multi-vendor solutions that have growing demand from the utilities all across the world.